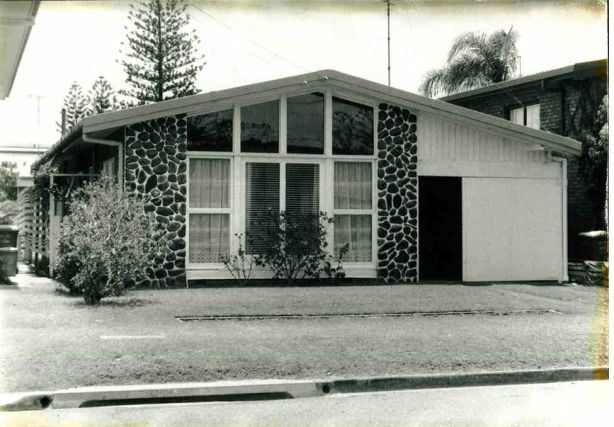 It’s now one of the most sought-after suburbs on the Gold Coast, but Mermaid Beach wasn’t always the exclusive enclave it is today. Once, it was a haven for the young, footloose and fancy free – many of whom were in rental share houses – to experience the idyllic beachside and surfing lifestyle, as well those in their twilight years. But, then younger families – and increasingly owner-occupiers – started to move in, in part triggering the evolution in the suburb. In the past two or three decades in particular, the housing landscape has transformed, and the fibro beach shacks that once dominated have made way for mansions, leading to the emergence of a millionaire’s row. The amenity has also changed – original shops, such as convenience stores and fishing retailers, have moved out to make way for trendy new cafes and restaurants. Nick Breuss, who owns the Door 50 cafe, believes the popular suburb will continue to evolve and grow along with new housing developments and eateries. While the main attraction is the beach, Breuss adds that amenity is a drawcard, including proximity to the Pacific Fair shopping centre and the light rail. Local resident Melissa Lyndon has been living in Mermaid Beach for about 20 years. She moved several times before settling in a now-renovated beach shack, and while her family considered moving elsewhere, when it came to the crunch, Melissa says couldn’t bring herself to leave. “I can’t imagine living anywhere else,” she says. “It’s central, the beach is just footsteps away, and at the other end of the street there are great coffee shops and restaurants and the bus stop. Fellow local Stuart Whitewood agrees the sense of community is a big factor in what makes the area attractive to residents. “We used to live in another area where you didn’t know anybody in the street, but here, because each street has a focal point, being the deck that leads to the beach, you’re passing everyone in your catchment on a regular basis, and there’s only so many times I can pass you and not start to say more than just hello,” he says. Whitewood and his wife, both surfers, moved to Mermaid Beach back in 1999. And they have no plans to leave. 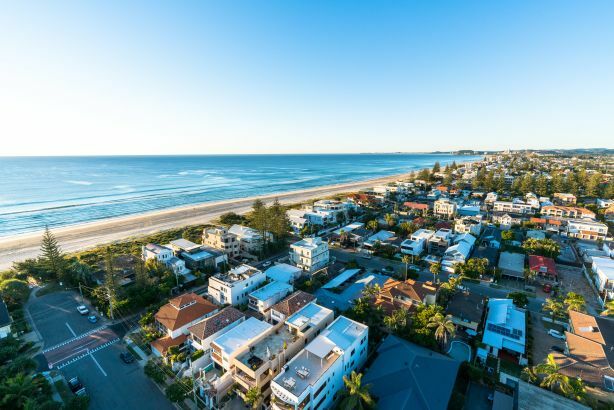 According to Domain figures, house prices Mermaid Beach have surged 68.6 per cent in the past five years to reach a median of $1.45 million, and units have risen in value by nearly 32 per cent to reach a median of $429,000. REIQ Gold Coast zone chair Andrew Henderson says people are staying in Mermaid Beach longer, after buying shacks and demolishing them to build their dream home. “There’s not a great deal of opportunity out there, it’s getting reduced by the day, especially to find older properties,” he says. Residential apartment developments are providing new opportunities for residents to live in this coveted neighbourhood, with the luxury Mahala project, which will start construction next year, one example. Developer Pindan designed the 94 two, three and four-bedroom apartments in the 25-level building for the Mermaid Beach lifestyle, with Mahala – meaning neighbourhood – featuring large balconies overlooking the ocean and Gold Coast skyline. The building, which sits on the one-way Peerless Avenue overlooking the exclusive Hedges Avenue, features a terrace with pool, barbecues, cabana, lounge and a private dining room. There’s also a surfboard and bike storage area, an outdoor shower and dog wash area. Two-bedroom apartments, with two carparks, are priced from $735,000, and three-bedroom options with two car parks start at $1.4 million. Demand prior to the launch in late October has come from locals in surrounding suburbs seeking an opportunity to get into Mermaid Beach, as well as interstaters looking for a lock-and-leave holiday home, says marketing agent Andrew Roubicek, of Colliers International. “While beach homes now sit alongside luxury apartment buildings, Mermaid Beach has retained a village charm which makes it popular amongst locals looking to live in a quieter coastal community.